Bhubaneswar: All arrangements are in place for the second phase of Lok Sabha and Assembly elections in Odisha, said Chief Electoral Officer (CEO) Surendra Kumar on Wednesday. 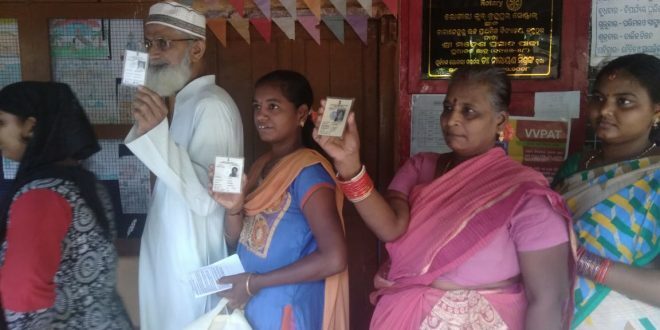 The second phase polls will be held for five Lok Sabha- Bargarh, Sundargarh, Bolangir, Kandhamal and Aska-and 35 Assembly seats under them in the state on Thursday. A total of 76.93 lakh voters are eligible to use their rights in the second phase. 39.45 lakh male voters, 37.47 lakh female voters and 605 others will use their rights in 9117 booths, said the CEO. As may as 35 candidates are in the fray for Lok Sabha seats while 244 candidates are contesting for Assembly seats in the second phase. The Election Commission of India has directed re-polling in two polling stations following reports of technical glitches in Electronic Voting Machines (EVMs) during the first phase of polling on April 11. The re-poll will be held in two polling stations in Malkangiri and Berhampur Assembly constituencies on April 18. The security has also been beefed up in the areas to ensure free and peaceful elections in the state. The CEO said CCTVs have been installed at several sensitive booths. Besides, special arrangements have been made for the differently-abled persons at booths. A total of 1.8 lakh differently-abled persons are expected to cast their votes during the second phase.